Many child psychologists warn against giving rewards to your children for achieving good grades. However, an extra incentive is a parenting technique that has worked for many if done in the right way. 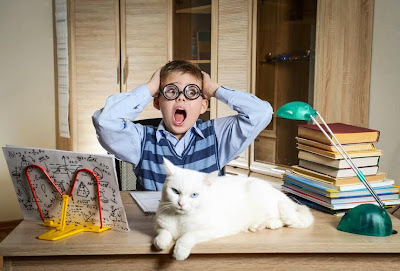 It is important to instil in your child with a sense of academic achievement for the right reasons, and it can be productive to help them strive for better results than are perhaps expected. In this way the rewards work the same way as employee’s bonuses. The best rewards are those which may help them with their future school work but it is also worth remembering that most people need a break and to blow off some steam come the summer. Here are some potential rewards. This is the classic reward to aid them with their school work but obviously a laptop, or indeed a tablet, can also be used for entertainment. If you do go for this reward make sure it has all the software needed to do school work. You could perhaps set them a project to do on the machine over their summer holiday to get them used to using it in the right way and so they know what its primary purpose is. The danger of rewarding them electronic presents is that these often lead to them spending their time indoors during the summer break while you would probably prefer for them to be outside. Have a look at some of the family breaks on offer at http://www.ukbreakaways.com to see a range of holidays from Brean Sands to Fort William. These are holidays in which the travel and accommodation are sorted out for you so you can enjoy the activities and new surroundings. 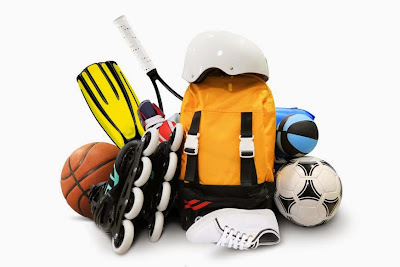 Buying your kids kit and equipment which they can use to get out and play their favourite sport is a treat which will also encourage physical activity – a win-win! Some parents prefer not to make it explicit to their children that there is a reward on offer if they do excel in their school studies but then surprise them with a gift. This means they have studied in order to attain good grades rather than get that pair of football boots they wanted. The ideal scenario is that you child has gained a healthy interest in whatever subject they have gained great grades in. This would make a related day trip a treat, and an educational one which further fuels their interest. A day out at the National History Museum or Museum of Science and Industry in Manchester are fantastic for kids and adults alike. If they have outgrown the décor of the previous bedroom style arrangement, why not use this opportunity to give it a spruce up. Get them involved in the process so they will hopefully have a little fun whilst they get a bedroom that everyone is happy with. Make sure you put a nice work space in there with desk and light so they will relish the idea of doing their school work.